Men experience declining bone mineral density (BMD) after hip fracture; however, changes attributable to fracture are unknown. This study evaluated the excess BMD decline attributable to hip fracture among older men. Older men with hip fracture experienced accelerated BMD declines and are at an increased risk of secondary fractures. 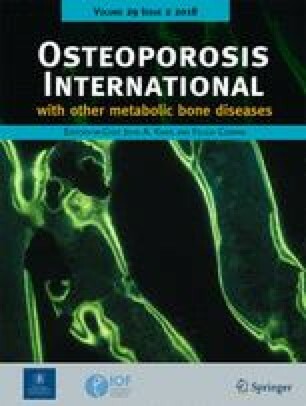 The objective was to determine whether bone mineral density (BMD) changes in men after hip fracture exceed that expected with aging. 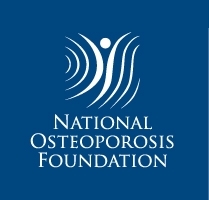 Two cohorts were used: Baltimore Hip Studies 7th cohort (BHS-7) and Baltimore Men’s Osteoporosis Study (MOST). BHS-7 recruited older adults (N = 339) hospitalized for hip fracture; assessments occurred within 22 days of admission and at 2, 6, and 12 months follow-up. MOST enrolled age-eligible men (N = 694) from population-based listings; data were collected at a baseline visit and a second visit that occurred between 10 and 31 months later. The combined sample (n = 452) consisted of Caucasian men from BHS-7 (n = 89) and MOST (n = 363) with ≥ 2 dual-energy X-ray absorptiometry scans and overlapping ranges of age, height, and weight. Mixed-effect models estimated rates of BMD change, and generalized linear models evaluated differences in annual bone loss at the total hip and femoral neck between cohorts. Adjusted changes in total hip and femoral neck BMD were − 4.16% (95% CI, − 4.87 to − 3.46%) and − 4.90% (95% CI, − 5.88 to − 3.92%) in BHS-7 participants; − 1.57% (95% CI, − 2.19 to − 0.96%) and − 0.99% (95% CI, − 1.88 to − 0.10%) in MOST participants; and statistically significant (P < 0.001) between-group differences in change were − 2.59% (95% CI, − 3.26 to − 1.91%) and − 3.91% (95% CI, − 4.83 to − 2.98%), respectively. Hip fracture in older men is associated with accelerated BMD declines at the non-fractured hip that are greater than those expected during aging, and pharmacological interventions in this population to prevent secondary fractures may be warranted. The online version of this article ( https://doi.org/10.1007/s00198-017-4280-0) contains supplementary material, which is available to authorized users. This material is based on upon work supported (or supported in part) by the Department of Veterans Affairs, Veterans Health Administration, Office of Research and Development, VA Maryland Health Care System, and Baltimore VA Medical Center. The authors would like to thank the facilities, orthopedic surgeons, and hospital personnel; Baltimore Hip Studies research staff; and participants for volunteering their time and information for this work. This work was supported by grants from the National Institute on Aging (R37 AG009901, R01 AG029315, P30 AG028747, and T32 AG000262). The funding sponsor had no role in study design; in the collection, analysis, and interpretation of data; in the writing of the manuscript; and in the decision to submit the article for publication. Jay Magaziner has consulting agreements with Ammonett, Novartis, and Pluristem. Denise Orwig has consulting agreements with Viking Therapeutics, Inc. Laura M. Yerges-Armstrong is a statistical geneticist at GlaxoSmithKline. Drs. Alan M. Rathbun, Michelle D. Shardell, Gregory E. Hicks, and Marc C. Hochberg have no disclosures to declare.